Let us take your job from start to finish! At SPW Engineering we offer a quality powdercoating service and a large batch oven. General Fabrication in mild steel. High Quality Production and Jobbing Work. Manufacture and installation of Balustrade, Hand rails and Gates. Manufacture of Architectural Steel Work. 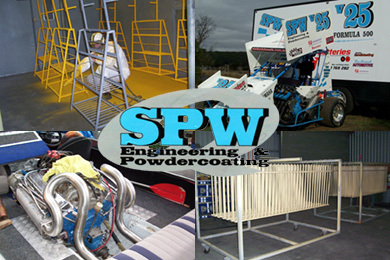 SPW Engineering are your fabrication and powdercoating specialists in the Ballarat Region, we take pride in the quality of our workmanship and guarantee excellent service. Contact SPW Engineering today for a quote on all your engineering and powdercoating needs.